Direct from the U.S.A. !!!! 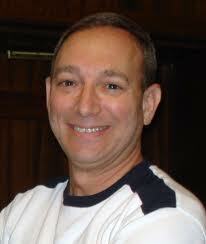 Ira Weisburd has been choreographing dances for more than 30 years!! He has created a wide variety of dances, many of which have become instant classics on the "must do" playlist of hundreds of groups around the world. NB. If you register for both line dance workshops, you will only pay $10 for the SOCIAL. Some of our favourite line dances choreographaed by Ira: Cumbia Semana, Caballero, Shuffle Boogie Soul, Linda Eh, Mojo Mambo. NB....IF YOU REGISTER FOR BOTH WORKSHOPS, YOU WILL ONLY PAY $40 FOR THE 2 WORKSHOPS! DON'T MISS OUT ON THIS WONDERFUL OPPORTUNITY TO MEET IRA! Some of our favourite circle dances choreographed by Ira :- Sonata, Boi Malka & Hasapico Mozart, and there will many more beautiful dances taught at the workshop. on Sunday 4th December. It was a fantastic night! It will be hard to top!! We ALL had a ball! The band was terrific, playing not only Russian pop songs, but also sang many of our favourite pop & rock'n'roll songs in English. When the band took a break, I took the opportunity to play some Israeli dances, so we practically danced all night!! It was fabulous to see the huge smiles on everyone's faces. Thank you to Miriam Atzil for suggesting & initiating the Russian night & helping to choose the menu. Also, big thanks to Deborah Stone for designing our very cute invitation to the Dinner Dance, (with the little Cossack dancers). Special thanks to Annette Lieberthal who did a great job helping me with the organisational side of things. Both Miriam & Annette also helped me to decorate the restaurant earlier in the afternoon, with balloons in the ZOOZ colours. Many thanks once again to all the dancers & friends who came along, for making our Dinner Dance such a successful event. Looking forward to sharing many more fun times together!